We offer sessions for campers of all ages from 5-95. Learn more about our various sessions below and register for yours today! Family camp is a weekend for you and your child (or children!) to get a glimpse of camp at Grace Point. This camp is geared towards younger children so that they may become comfortable with the summer camp environment with you by their side. No age limit is in effect for this camp. 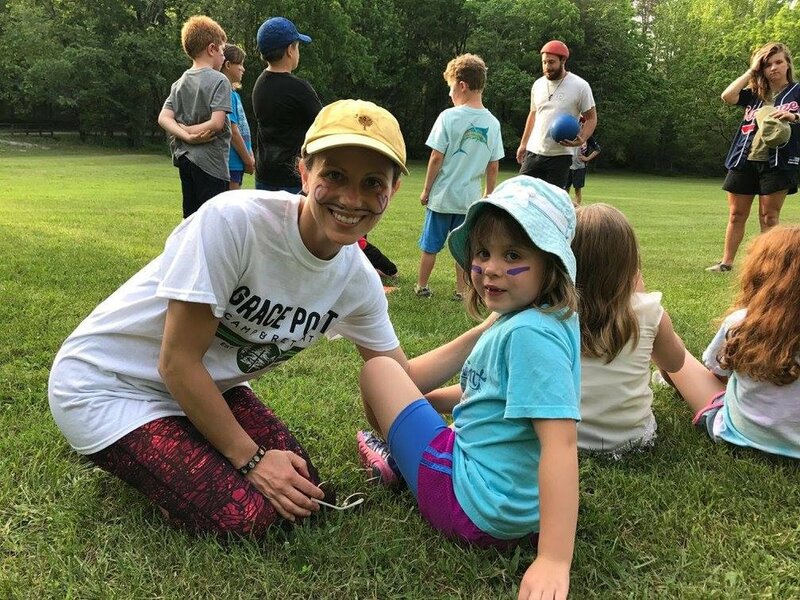 A weekend for adults 21 and up to feel like a kid again and experience Grace Point as a camper! Activities at Adult Camp are similar to those at traditional camps, including water activities, 4 square, fun in nature and arts and crafts. The weekend also features a Dean's Program designed to provoke spiritual reflection and contemplation. Our outreach camp designed for children with an incarcerated family member. This session is just like any other week at Grace Point, complete with tubing, archery, arts and crafts, Deans Program and more. (Junior Summer Session, Intermediate Summer Session, Youth Summer Session) Summer session is an extra opportunity for your child to attend camp later in the summer. Summer sessions typically host larger groups, and tend to fill up quickly. Be sure to reserve your spot early! Junior Summer Session is for rising 4th-6th grades, Intermediate Summer Session is for rising 7th-9th grades, and Youth Summer Session is for rising 10th grade-just graduated. Everything you love about camp, but in the winter! We offer two sessions in the off-season: Winter Session (for high schoolers) and Junior Winter Session (for middle schoolers). These sessions are weekend-long, and typically take place over school holiday weekends.